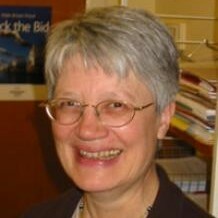 GRACE DAVIE is professor emeritus in the Sociology of Religion at the University of Exeter UK and a senior adviser to the Impact of Religion Research Programme at Uppsala University. Together with Nancy Ammerman (Boston University) she is the Coordinating Lead Author for the chapter on religion in the International Panel for Social Progress. The chapter is entitled: “Religions and social progress: Critical assessments and creative partnerships”. Emphasizing the significance of belief and practice in everyday lives and local contexts, the chapter analyzes the impact of religion and its relevance to social progress in a wide variety of fields. These include the family, gender and sexuality; differences and diversity; democratic governance; violence and peace-making; health and economic well-being; and care for the earth. She is a past-president of the American Association for the Sociology of Religion (2003) and of the Research Committee 22 (Sociology of Religion) of the International Sociological Association (2002-06). 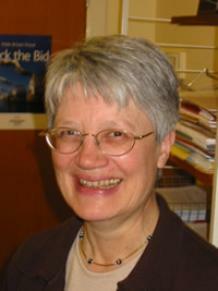 In 2000-01 she was the Kerstin-Hesselgren Professor at Uppsala, where she returned for extended visits in 2006-7, 2010 and 2012. In January 2008, she received an honorary degree from Uppsala. She has also held visiting appointments at the Ecole Pratique des Hautes Etudes (1996) and at the Ecole des Hautes Etudes en Sciences Sociales (1998 and 2003), both in Paris. Modernities, Memory and Mutations: Grace Davie and the Study of Religion, (Farnham, Ashgate 2015) edited by Abby Day and Mia LÃ¶vheim, presents an overview and critical engagement with contemporary themes in the sociology of religion which will inform current and forthcoming generations of scholars. Reflecting on how Grace Davie’s contributions have influenced their own work and wider debates in the field, leading international scholars engage with themes Davie has critically explored across religious studies and mainstream sociology evolving a new research agenda for sociology of religion. In addition to numerous chapters and articles, she is the author of Religion in Britain since 1945 (Blackwell 1994), Religion in Modern Europe (OUP 2000), Europe: the Exceptional Case (DLT 2002) and The Sociology of Religion (Sage 2007/2013); she is the co-author of Religious America, Secular Europe (Ashgate 2008), and co-editor of Predicting Religion (Ashgate 2003),Welfare and Religion in 21st Century Europe (2 vols) (Ashgate 2010 and 2011) and International Panel on Social Progress (ISSP), (Cambridge University 2018).